Unrestored Triumph TR7 in US version. 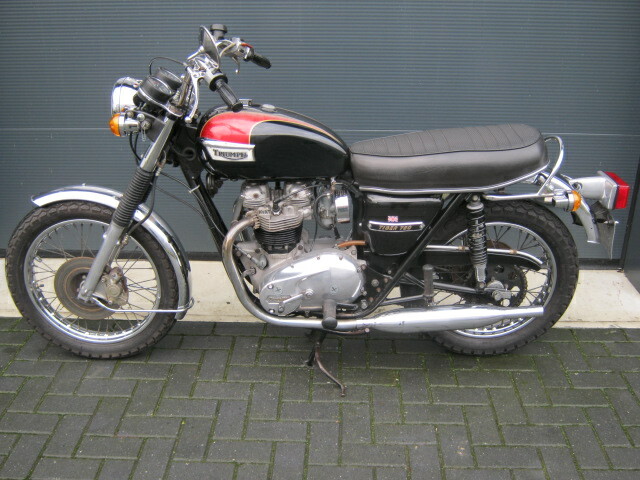 Looks well for an unrestored bike. Runs and rides well. With it is a receipt from about 1000,- Euro for recent engine revision work. 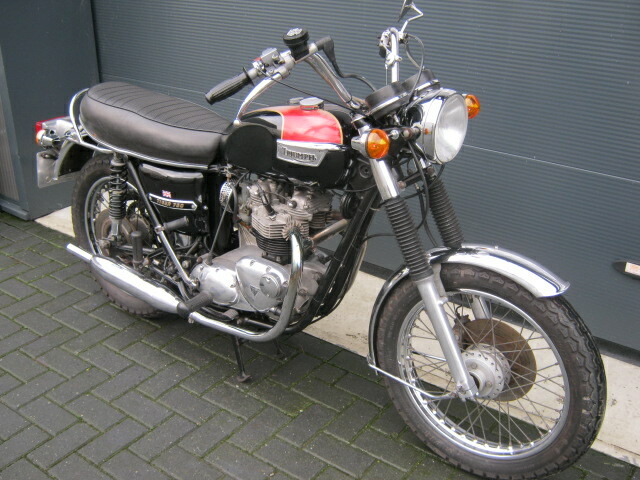 Numbers of frame and engine are matching and the Triumph has a Dutch registration.